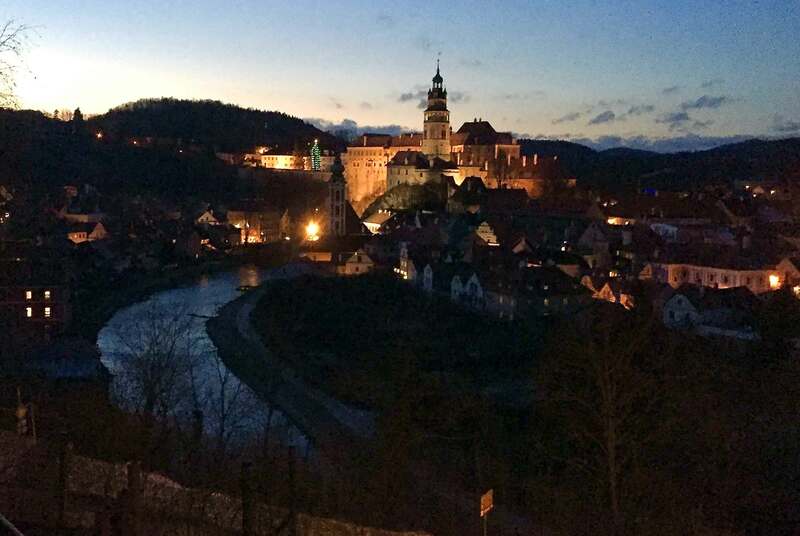 Journalist Mark Neužil reported from Prague, where he taught at Charles University this past fall on a Fulbright fellowship. Photo above by Petr Novotný. 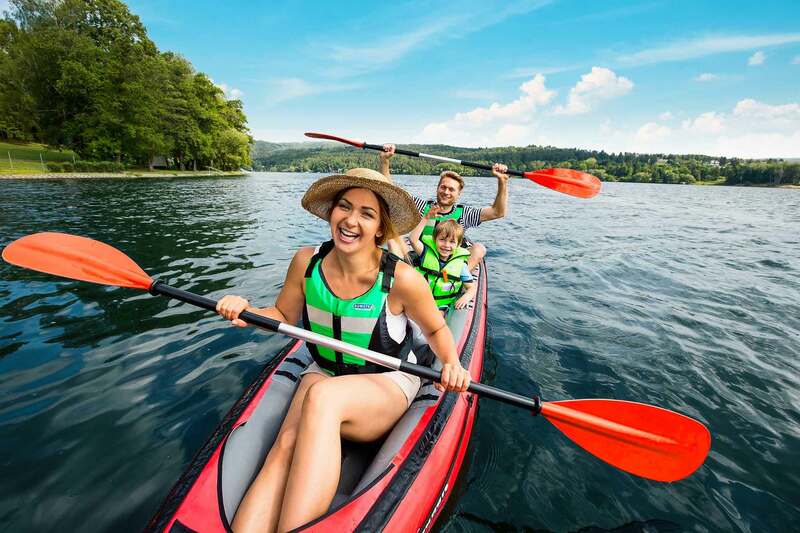 The outdoor life is beloved by the Czech people through good times and bad as they take to the country for hiking, fishing, skiing, mushroom picking, and, not least, paddle sports. The Czechs love canoes, and they are particularly good at racing them. Their Olympic medal count in canoe racing – 12 as Czechoslovakia and 14 as the Czech Republic – stacks up favorably against much larger European countries. And it is a love affair with deep roots. Czechoslovakia hosted the initial European racing championships back in 1933, three years before canoeing became an official Olympic sport at the Berlin games. “They called it ‘flatwater’ back then. 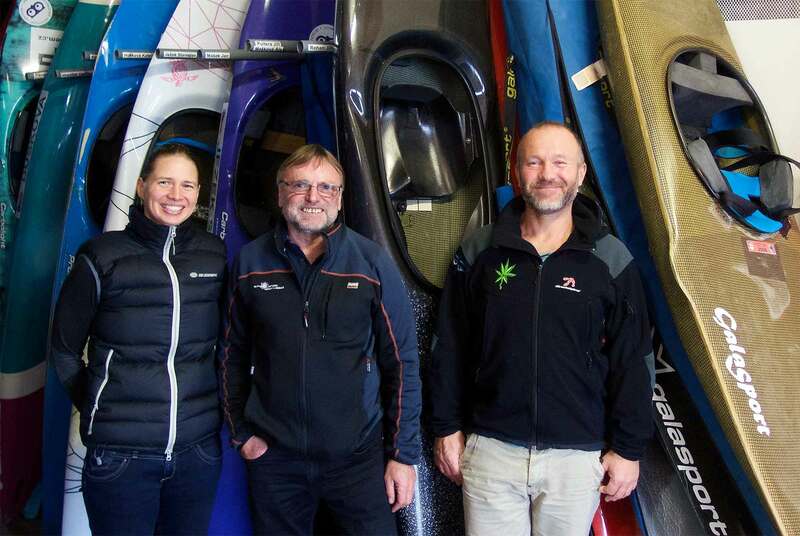 That was the first step toward canoeing in the Olympics,” said Milan Bílý, coach of the 1996 Czech Olympic men’s canoe team and my colleague at Charles University. Since 1997, the Czechs, with of population of about 10 million in a landlocked region half the size of Iowa, have won more medals in canoe sprints than Great Britain, France, Italy, or Spain. And they are better at slalom than sprints. 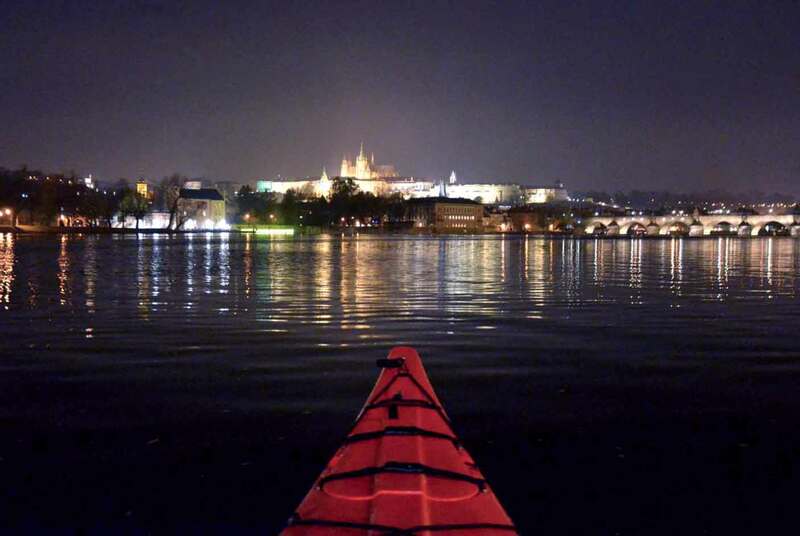 Charles University, a 51,000-student institution based in Prague, offers undergraduate degrees in its Department of Canoeing and Water Touring headed by Milan Bílý. More than 300 students take part in the program. Looking back, because my book co-authored with Norm Sims, “Canoes: A Natural History in North America,” had been published recently, it was probably inevitable that Czech canoers and I would find each other. Besides Bílý, I enjoyed swapping stories with fellow faculty members Petr Novotný and Martina Chrástková. When three Czechs and one Czech-American get together, storytelling is basically compulsory. 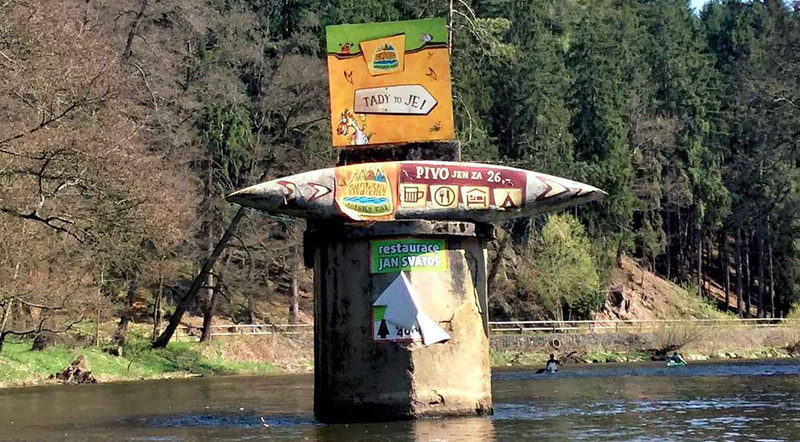 Politics are never too far removed from the forefront of Czech culture, and that is also true with canoes. For example, aluminum canoes, a common sight on American lakes, are very rare in the central European country. The Communist regime (1948–1989) did not want its precious aluminum wasted on canoes. So, Czechs either made their own wooden canoes or bought rubber ones. To meet the needs of the aluminum-free market, a company called Gumotex began making inflatable rubber boats in the shape of a canoe in 1956. The company began in 1950 by making protective clothing from rubberized textiles, and inflatable watercraft followed shortly thereafter. It now holds about 30 percent of the Czech inflatable boat market. 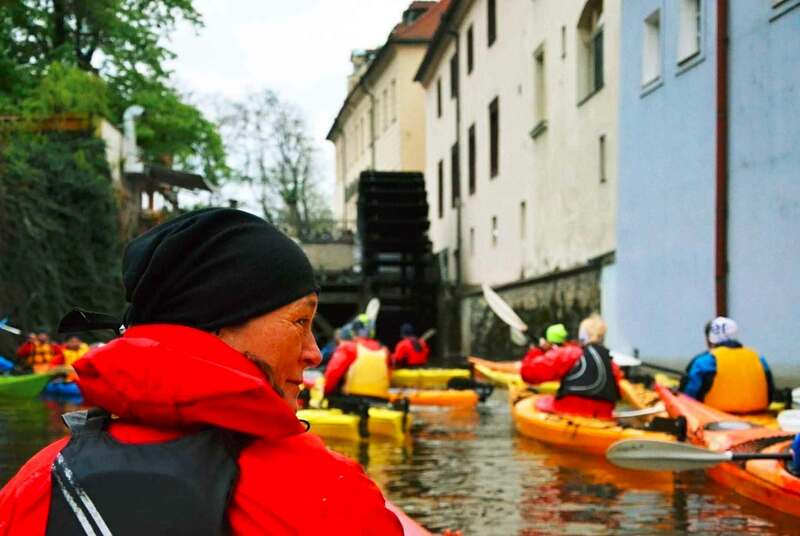 “The Czechs are probably the biggest nation of paddle enthusiasts in the world,” said Lucie Kadlecová, a Gumotex spokesperson. She listed off annual sales figures for the Czech Republic that rival Germany, France, the United Kingdom, and Austria. The aluminum ban wasn’t the only dictate of the regime. 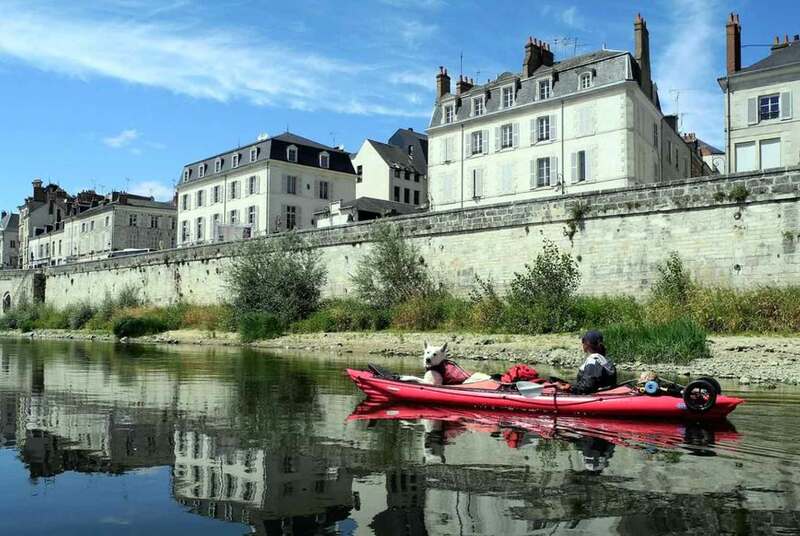 According to the obituary of one Central European boat builder, during communist rule the government demanded that all kayaks be made in bright colors – blaze-orange, lime-green, yellow, bright-pink – so that potential escapees could be spotted more easily on the rivers. In the Czech Republic, November 17 is a national holiday commemorating Czech uprisings against the totalitarian rule of the Nazis in 1939 and communism in 1989. 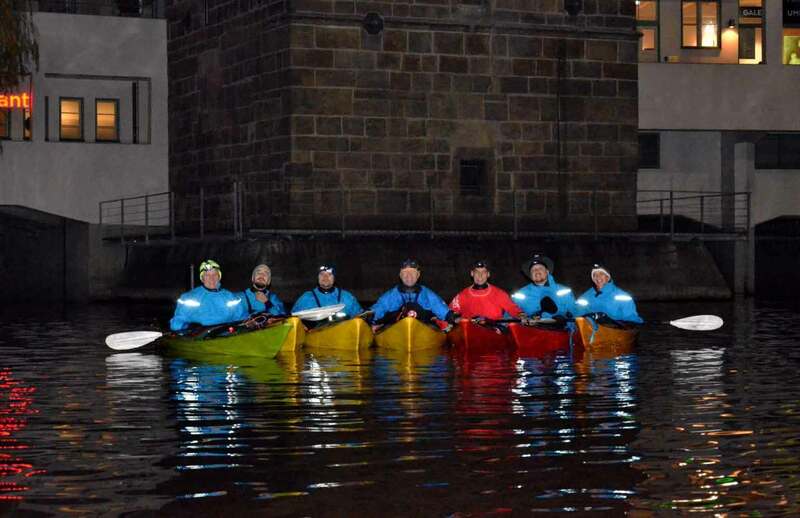 Perhaps the most unusual of the day’s events is a nighttime sea kayak paddle on the Vltava River in Prague. 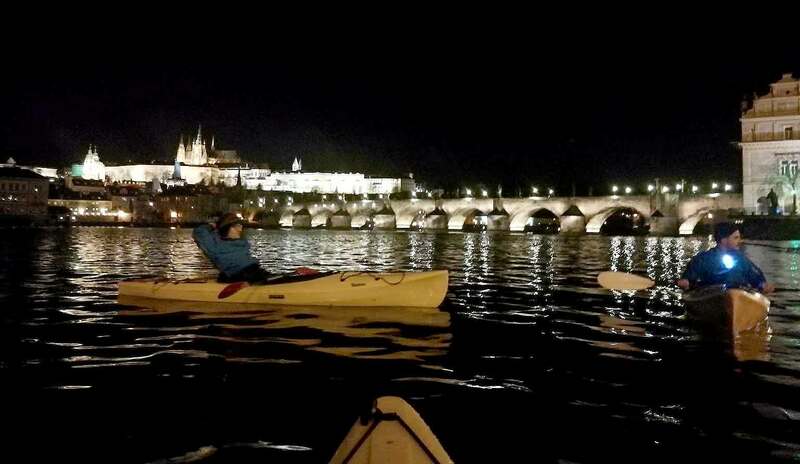 Paddlers’ headlamps shine on the river before they land near the city’s historic National Theater. The kayakers then slowly march to Wenceslaus Square, along the main route for political protests in 1989. They follow streets that students and others took in the fateful days of the Velvet Revolution. The kayakers carry candles in one hand and their paddles in the other. The paddlers say they are not making a political statement as much as entering the national celebration and drawing attention to their sport. And their use of sea kayaks reflects a bit of dry Czech humor. “Because the Czech Republic is a country without a sea,” said Novotný, one of the organizers, with a big smile. One of the participants in the Velvet Revolution was a young man named Lukáš Pollert. He went on to become a world-class canoe racer, winning an Olympic gold medal for Czechoslovakia in 1992 and a silver for the Czech Republic in 1996. He famously said that taking part in the Velvet Revolution was more important to him than his Olympic gold medal. 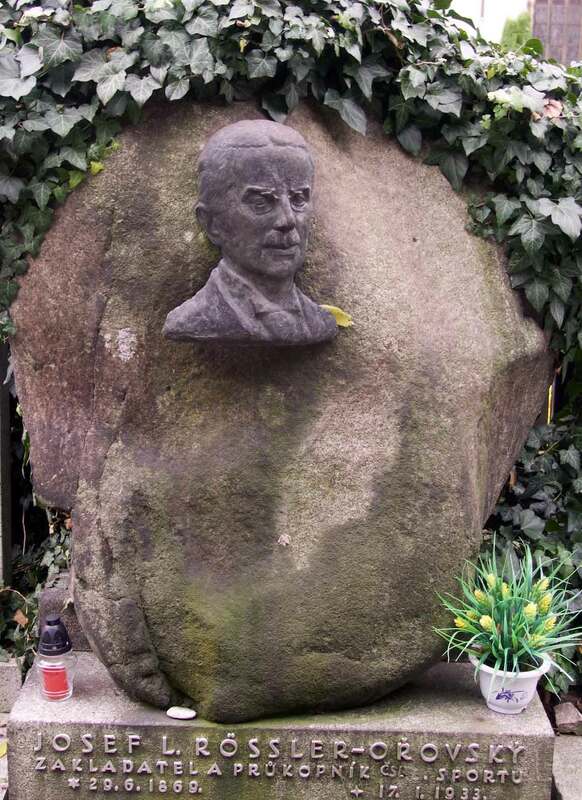 Later he became a doctor, working in the emergency room at the Prague Military Hospital. Pollert’s teammate in the 1996 Olympics, Martin Doktor, won two gold medals in the C1 events in Atlanta. To the delight of his countrymen, Doktor credited some of his success to his mother’s traditional Central European cooking. To keep her son going strong, she brought “several dozen kilos” of the deeply traditional, rough-milled wheat flour Czechs use to make knedlicky (dumplings). I also met Michala Hergetová, a familiar face to the public as a newscaster and reporter on Czech television. 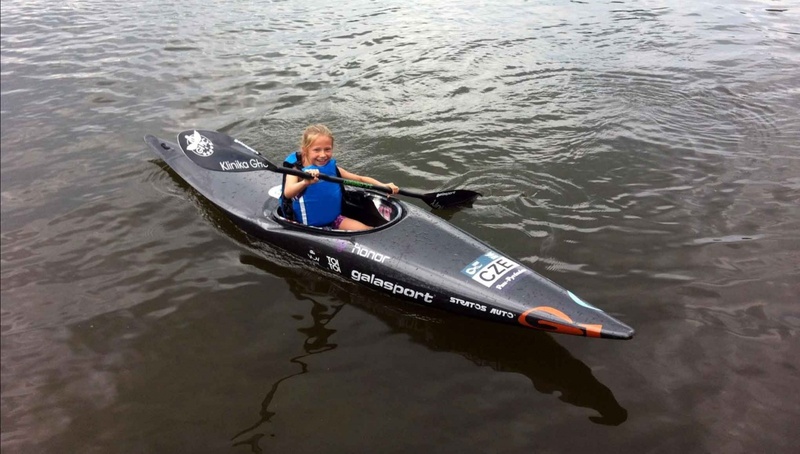 She has been in and out of canoes since she was a child. And as to the Czech’s love of paddle sports since 1908, one of its most successful racers said speed is not the best use for a canoe. “Fun is the most important. Hurry is the enemy of knowledge,” said Svoboda. –Mark Neužil teaches journalism at the University of St. Thomas in St. Paul, Minnesota. He is the co-author of Canoes: A Natural History in North America.